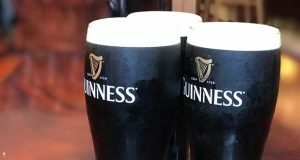 The famous Irish brewery are giving away nearly 10,000 pints of the black stuff in pubs today, November 1, after teaming up with Fuller’s brewery to celebrate International Stout Day. All you need to do is head to your nearest Fuller’s pub from 5pm, where the first 50 customers through the door will be greeted with a completely complimentary free pint of Guinness. No catch, just first come, first served!